Great Collection of HTML5 and CSS3 Resources for designers & developers. HTML5 and CSS3 are the next big improvements which are still under development. Many designers and developers have already implemented new features from HTML5 and CSS3, which are supported in most browsers, on their websites and many are still experimenting with them. In this “Great Collection of HTML5 and CSS3 Resources“, you will find articles and tutorials covered on different websites. Demos and examples are also included in this list. I tried my best to collect all useful and related information to put at one place. Still if you find something missing, kindly share it in the comments below. 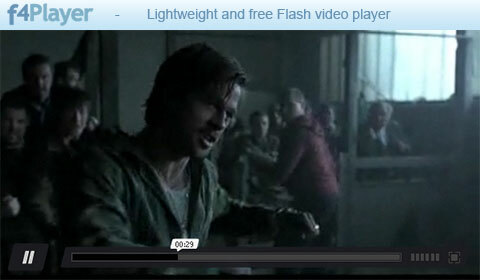 The popular web player JW Player now has a HTML5 version after its well-known Flash and Silverlight ones. 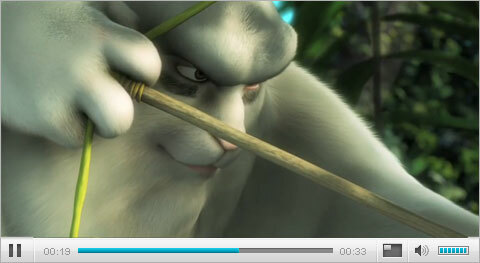 JW Player For HTML5 is a totally skinnable and configurable player based on the <video> tag of HTML5. It is built with jQuery, and for any browser without HTML5 support, falls back to the JW Player for Flash automatically. The player can be set to display a poster image before and/or after the video. Also, it is possible to make it auto-play, auto-repeat, start with a pre-defined volume and much more. 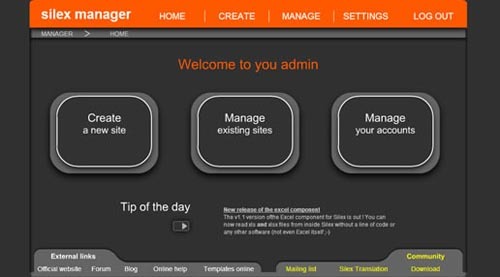 Great Collection of Flash Content Management Systems. For the past few years Flash developers have been struggling to create a powerful and intuitive content management system, which would allow the developer to quickly manage and maintain there Flash sites, and also a system in which the basic end-user could edit and update their Flash websites with little or no Flash knowledge. There have been lots of Flash CMS solutions reviews recently but they are useless for the regular users as most of us simply don’t know where and how to implement them. That’s why I have decided to create a review of Flash CMS templates solutions presently available on the market, the solutions that will allow you build your new flash website quickly, easily at without additional costs. Silex is the first popular French Flash CMS and it’s completely free and open source! Silex is rapidly evolving, due to the international community actively contributing to its development. Not only can you manage a Flash based web site, with SILEX you can also: create CD-ROMs, manage databases, customizing WordPress blogs, web TV, importing webmaster tools. Silex is a one of a kind mix between editing software and wiki based software. 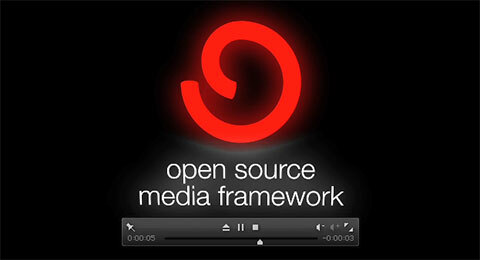 Open Source Media Framework (OSMF), that is developed by Adobe, is a software framework for building feature-rich Flash video players and applications. It can be integrated into custom applications using the simple API, or you can deploy the ready-to-run dynamic SWF player without compiling or writing custom scripts. f4Player is a free and open source Flash video player that can play .fly, .f4v or .mp4 files in websites or within AS3 projects. It is lightweight (8kb) and has a skinnable interface (few skins are included with the download). The player supports progressive downloads (ability to play the downloaded portion of a file while the download is still in progress) and fullscreen display. 360 degree rotation viewer, with support for play/pause, dragging and scrubbing. The swf is easily replaceable, by updating the path in the XML or in the flashvars. 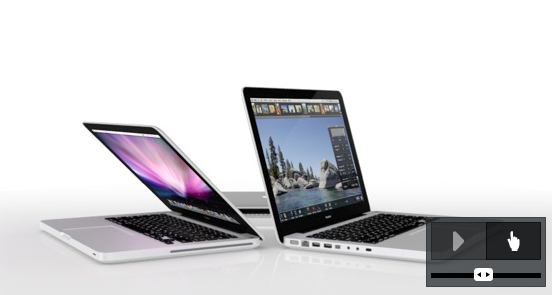 It can be used for 3D objects (like the macbook), panoramas, products detail view, fashion websites, and much more. In order to replace the displayed swf file, you need to pass a new one. Remember: you need to have no code on your frames. The swf needs to contain only frames, in which your images are displayed one by one, exactly like in the provided fla file. Plupload has great features like image resizing, displaying upload progress, drag’n drop, multiple file uploads, unique filename generation, max-file-size limit & more. As expected, it has a server-side file to handle the uploads (PHP file is included with the download).